Environmentalism is on the rise in the form of veganism. This is to carry out the goals of agenda 21. 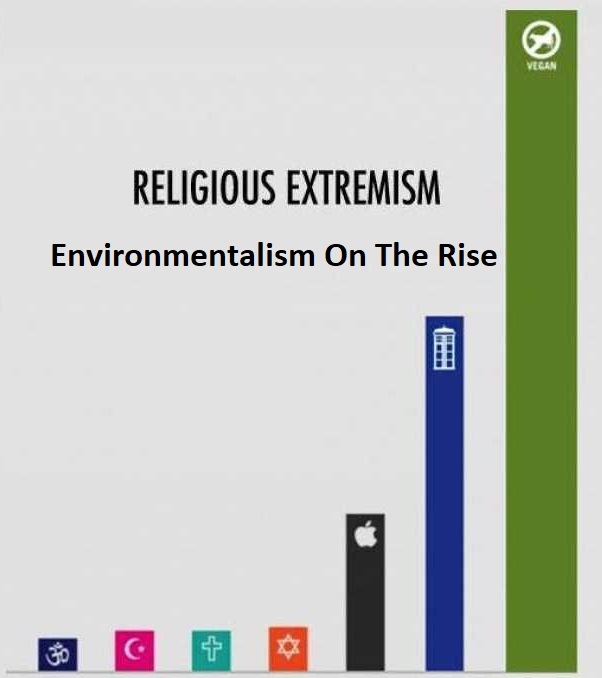 With this there is a agenda carried out to reach communistic goals, only with another name: ”environmentalism” Therefore green is the new red. So there are many examples of vegan extremism and forms of it. What many vegans have in common is that they approve these things being done to make the movement grow like it is some kind of religion. They claim that ”their movement” is being suppressed, but there is almost no thing (besides the weather and sports) where there is being talked about in the papers and on the news. It is being pushed more and more and I even heard some vegans say that everyone should be forced to have another diet. When I think about this I realize that this is already happening in many products with meat in it where you can see that the percentage of meat in it is very low and has been lowered slowly. Another way there is spoken about is to make prices higher. So if they cannot convince you by manipulation and deception, they will force you to eat less meat. It is definitely not a good thing and I do not like it at all. Vegans should kill all animals if they want to prevent animals from being killed. 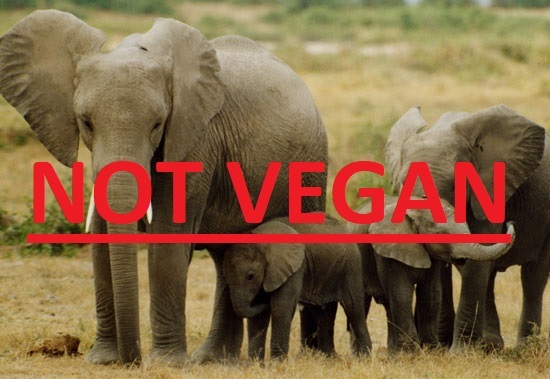 There are many animals that are called ”herbivore” and ”vegan”, but they are not so vegan as you might think. Every animal i can think of eats other animals or stuff that comes from animals. Even animal symbols for vegans like horses, elephants and gorillas do eat other animals as seen in this video. A lot of those do not hunt, but are opportunistic. If they are hunters or opportunistic: it can never be said that they are vegan. A hare is not vegan. 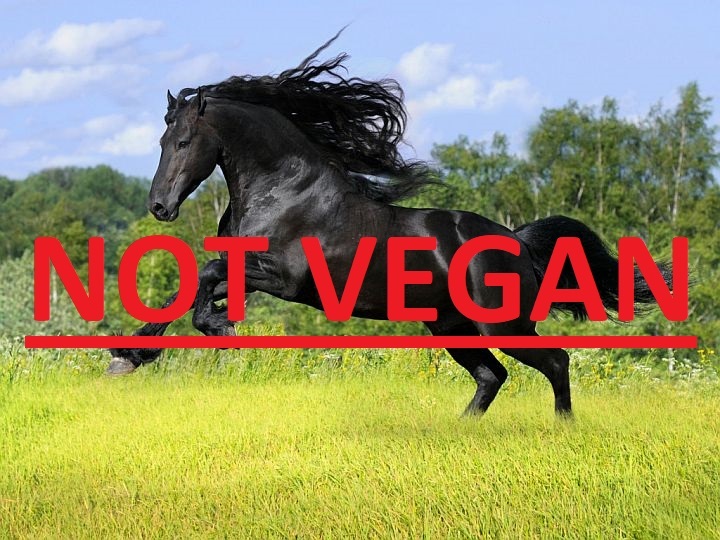 Horses are not vegan either. Bambi eats from a carcass if possible. Gorilla’s do not live on plants only. Next: watch this video to lose your misunderstanding about what animals eat. There are no animals that are just herbivore, all eat other animals and stuff from animal origin. The video is called ”Vegans Should Kill All Animals!” because if vegans want to prevent harm being done to animals, the animals that kill other animals should not exist. Therefore they should kill them all – which makes them hypocrites that do not care about nature! Of course I will not support these ideas that are against nature. Vegans may look like they do care about nature, but i have never seen any group of people that have such a unnatural diet. Their diet also comes with very unnatural supplements and with all of this many of them suffer with all kinds of symptoms from lack of sufficient vitamins, protein and other nutrients. This compilation clearly shows that there are many health problems with vegans, even though many of them do not even see that it is their diet that is causing these problems. Most try to eat as natural as possible, but eating loads of supplements can not be further from a natural diet. Some even hate people. This concludes that many vegans do not know anything about nutrition and are very hypocritical when it comes to ethics, health and eating natural. Veganism and vegetarianism are part of the agenda 21 propaganda. The main purpose is to eventually reduce and control the earths population. Unhealthy people are easier to control, because a low fat diet without animal products can cause malfunctions in your brain and body. The propaganda is also about making people to move to cities, to take away human rights and to raise taxation. The Bible has also something to say about food and the fact that in latter times there shall depart some from the faith and command others to abstain from meats etc. 1 Timothy 4 (KJV) 4 Now the Spirit speaketh expressly, that in the latter times some shall depart from the faith, giving heed to seducing spirits, and doctrines of devils; 2 Speaking lies in hypocrisy; having their conscience seared with a hot iron; 3 Forbidding to marry, and commanding to abstain from meats, which God hath created to be received with thanksgiving of them which believe and know the truth. 4 For every creature of God is good, and nothing to be refused, if it be received with thanksgiving: 5 For it is sanctified by the word of God and prayer. I’m glad that my Father also has an agenda and that ultimately He is in control. Maranatha! I hope you will watch this video and share it with your family and friends. Thank you! I also want to share some links to some articles that support the idea that veganism is definitely not the way to go! Please stay healthy and eat good food without all the crap in it. Make sure you know what you eat or produce your own by having some animals or a garden with your own produce. There are always options to improve this even if you live in a city.